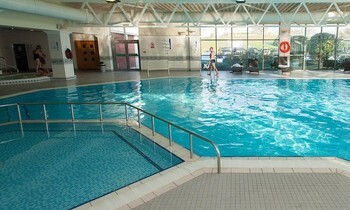 What is best hotel swimming pool at Heathrow? 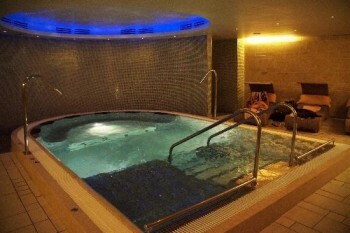 Which hotel at Heathrow has the best swimming pool? 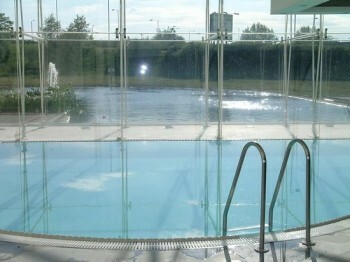 You may well have spent many hours awake at night wondering which Heathrow Airport hotel has the best swimming pool. Good news – I’ve done the work for you! For reasons too complex to explain, we decided to spend Friday at a hotel at the airport despite living fairly close. This was in advance of a very early morning departure to Austria yesterday. The kids decided that they wanted a hotel with a pool, so the search was on. I reached out to a few people for guidance whom I know spend disproportionate numbers of nights at Heathrow hotels. The first two are connected to terminals whilst the others require the Hoppa bus or an Uber to get back to the airport. 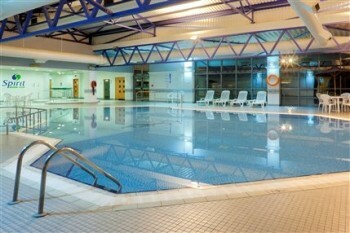 The Park Inn Heathrow, on the other hand, turned out to be a real contender – take a look at this. I was a little put off when I discovered that the hotel has 895 rooms which meant that it could be very busy. 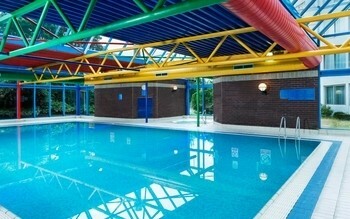 I was also told by a regular guest that the pool is far more utilitarian than the official pictures suggest. 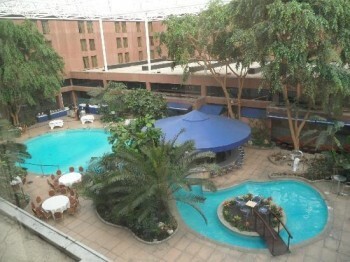 In the end, though, my winner was the Crowne Plaza London – Heathrow which is where we spent Friday afternoon. The shallow end is 1.2m, running to 1.5m at the deep end. I’m not going to review the hotel itself, because it is about to undergo a full refurbishment. The rooms and corridors are definitely ‘tired’, although spacious. The meal we had at Orwell’s restaurant was surprisingly decent (and they had a kids buffet) and there was also an Indian restaurant and an Irish bar which served food. 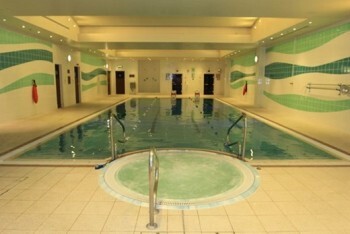 If it’s a kids pool you’re after, however, I’m sure the Crowne Plaza is the best option at Heathrow. Bits: 1000 Avios from Marriott posting, British Airways to launch Nashville soon? Interesting that they’re refurbishing that CP. Perhaps because of imminent competition from the almost-built CP attached to T4? The 2 HI and the CP share a management team – not sure if they have the same owner but IHG seems to treat the operations as one.